Designed for continuous feeding, Grass So Green fertilizer is the best way to feed your lawn through your sprinkler system. 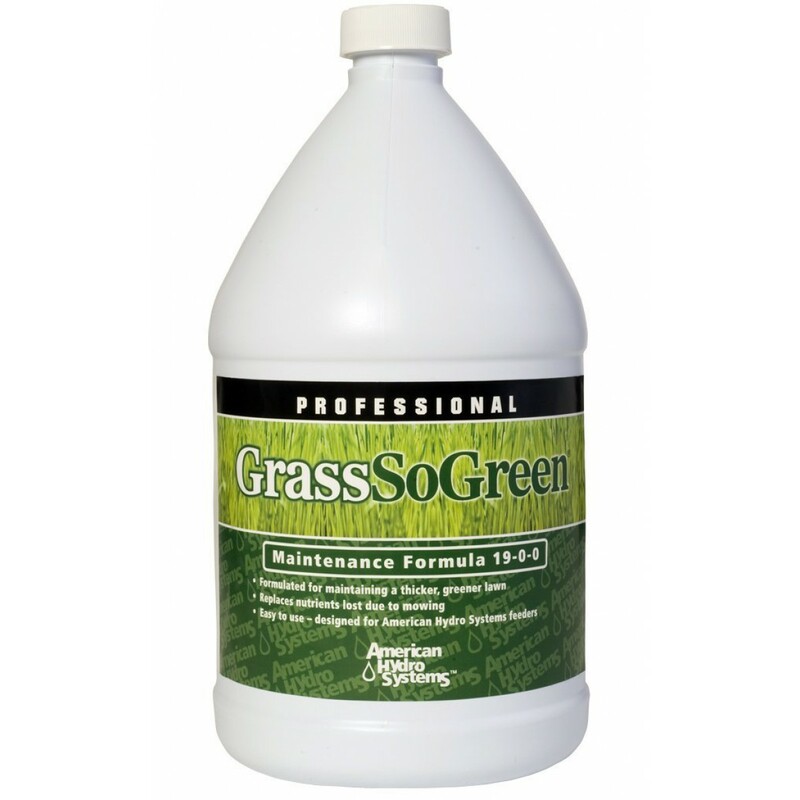 Featuring a 19-0-0 formulation, this liquid fertilizer is environmentally safer than granules because it is significantly less likely to run-off. Use Grass So Green and your neighbors will be green with envy. 1 gallon size. 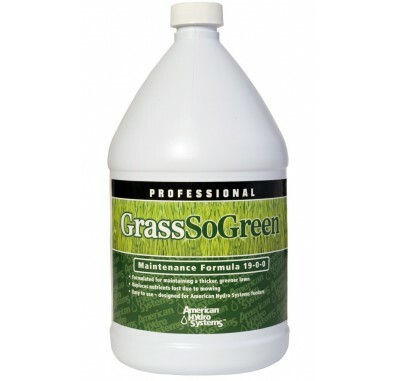 Formulated for continuous use throughout the watering season.